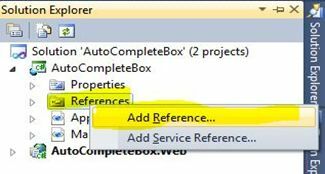 In this article, you will implement an AutoComplete TextBox in Silverlight Applications using C#. 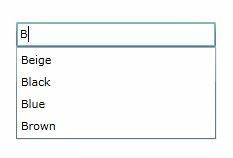 An AutoCompleteBox is just a kind of TextBox in which, when you start typing, items that match are displayed in a dropdown list and you can pick an item from the list. Create a New “Silverlight Application” in Visual Studio and name it as you chooce (I named mine AutoCompleteBox). 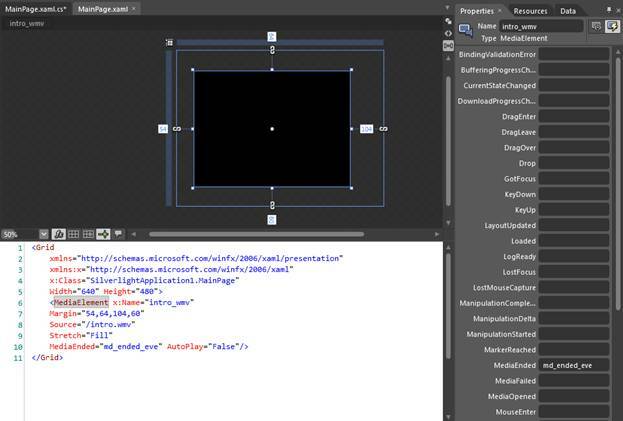 Now a new Silverlight Application Page (MainPage.xaml) will be generated. Now go to the Solution Explorer Window and right-click on "References" and click on "Add Reference". Now an "Add Reference" window will appear. Navigate to the .NET tab and search for System.Windows.Controls.Input reference and add it to your project. An AutoCompleteBox is added to your project (here I named it Colors but it's up to you what to use). What we are doing is that we are simply adding the data to the AutoCompleteBox whenever the MainPage is Loaded. I am here adding Name of various colors for demo purposes, you can however add your own data. Now that's all; compile and run your project and whenever you type a letter into the AutoCompleteBox an intellisenese will appear with suggestions the same as you usually see in Visual Studio. Now compile and run your project; you will see that whenever you type a letter, the words related to it are automatically placed into the AutoCompleteBox. 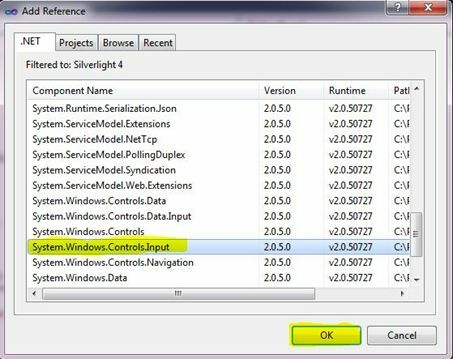 The Silverlight toolkit comes with Busy Indicator control, but some time you may need to develop custom Busy Indicator for your application. Here are the steps to create Busy Indicator using Silverlight StoryBoard. Create Silverlight application and add ProgressBar.xaml user control in your project. Copy and paste below given code ten times and change grid name from circle0 through circle9. This code will be used to generate small filled circles. 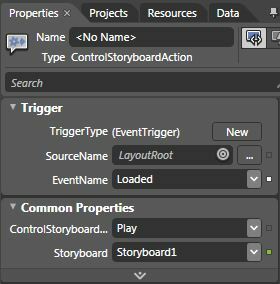 Add this StoryBoard in user control resources section. This will start Busy Indicator animation. Copy and paste below code ten times and change StoryBoard name from ProgressStoryboard0 through ProgressStoryboard9 and StoryBoard TargetName from circle0 through circle9 (you have already declared code for circles above). This code will be used to generate StoryBoard animation for Busy Indicator. Add below code in your ProgressBar.xaml.cs file. This has a dependency property IsActive. When IsActive is set to true the Busy Indicator animation will start and when it is set to false the animation will be stopped. At this point you have completed coding for BusyIndicator control. Now the next step is implementation to see how exactly it works. Add namespace for Busy Indicator in MainPage.xaml file. And add below code in the same file. You can see in above code, I have placed custom Busy Indicator control in MainPage using below line of code. MainPage.xaml.cs change: Add below code in this file. Here I have added a button with the name "Add", on click of this button I am calling MathService to calculate sum of two given numbers. Once the result is returned from MathService it will be displayed in TextBlock. On button click event I am setting Progress Bar IsActive property to true, at this moment the Busy Indicator animation will start. And when the Add method completed event is called I am setting IsActive property value to false, to stop the animation. Once all the changes are completed run the application. You will see below screen when you click on "Add" button. The good thing is, until the Busy Indicator runs the UI portion of the application will be locked and once the processing is completed screen will be unlocked again. 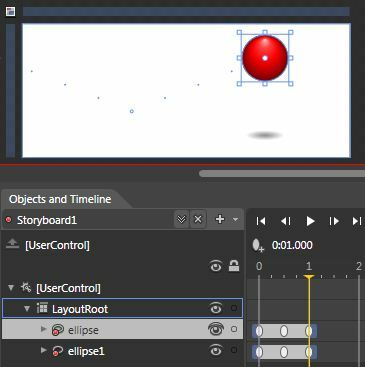 There are two ways to animate in Silverlight, through storyboards and through code. Expression Blend offers extensive help in creating storyboard animations. 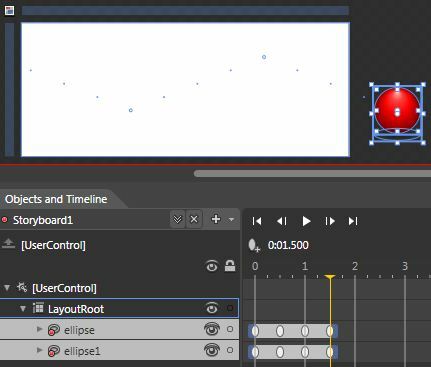 Silverlight animation is time based not frame based, this means that your animation will benefit from running at the maximum frame rate that the users machine will allow. Multiple storyboards can be created and run at the same time, but for the purpose of this basic tutorial, you'll be shown how to create a single storyboard. To create a new storyboard, go to the Objects and Timeline tab then click on the ‘plus’ icon. If you are using the default UI layout in Blend, you may want to hit the ‘F6‘ key to switch the layout from design mode to animation mode, this will give you a better layout for working with storyboards. Notice that after adding a storyboard a red circle will be displayed in the top right of the screen, this indicates that you are in record mode. When in record mode, every change you make is treated as an animation and will be tied to a Keyframe. To turn record mode on or off click on the red circle in the top right of the screen, it should toggle from red to grey. 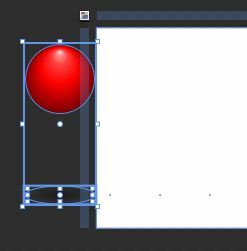 For the purpose of this tutorial I have created a ball graphic and a shadow graphic as shown below. You can use any objects thay you like to make your own animation project. I have placed them off the page to the left so that they start out of site. Storyboard animation is based on Keyframes set to specific times. 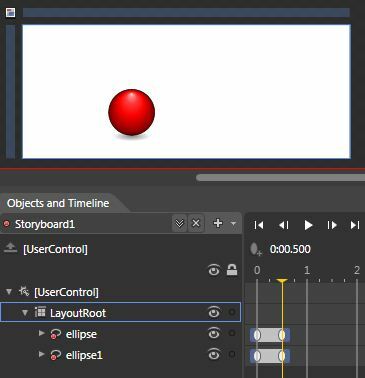 To add a Keyframe, go back to the ‘Objects and Timeline‘ tab, select the objects that you want to animate and click the Record Keyframe button as highlighted below. You will see that a new Keyframe is added by each object at zero seconds. Then you can animate the ball and shadow graphics again at 1 second. 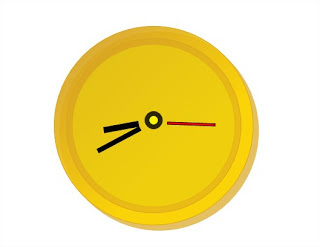 And once more at 1.5 seconds to finish the animation. Now that we have completed the animation we may want to loop it multiple times or loop it forever. 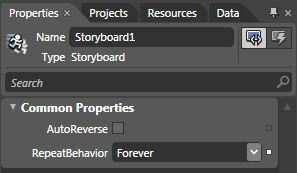 To make the animation loop, make sure you have the storyboard selected under the ‘Objects and Timeline‘ tab, then go to your ‘Properties‘ tab and scroll down to the ‘Common Properties‘ section. 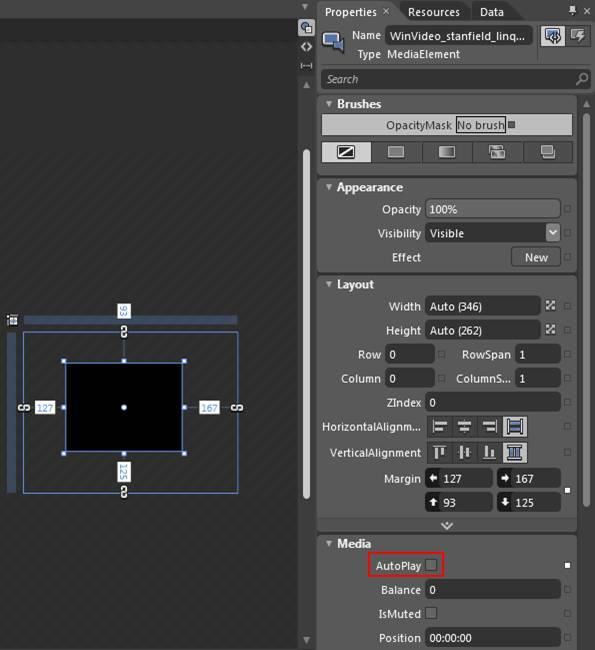 Here you have an option to repeat the animation several times, for this tutorial, you have to set it to ‘Forever‘. You are done with your storyboard animation!